It’s wireless, and it’s solar-powered, so right there the recently released Logitech K760 keyboard eliminates two potential annoyances. 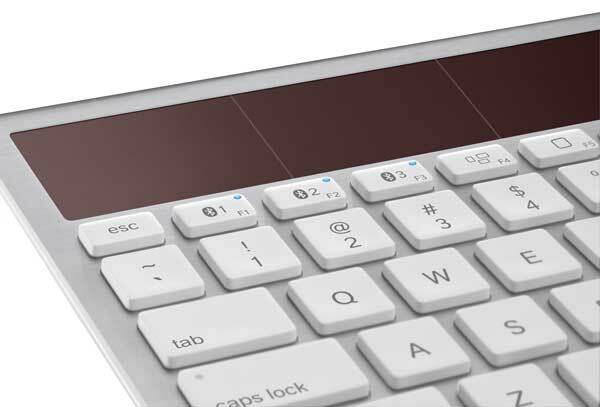 In fact if fully charged, and used in an environment with no light, the Logitech K760 Wireless Solar Keyboard will provide three months of use. Via Bluetooth, the K760 will work from up to 9 metres away from your devices. Speaking of devices, the neat thing about this keyboard is that the Bluetooth on the one keyboard will happily pair with various Apple devices – so whether you’re using your Mac, iPad or iPhone, this keyboard will have you working quickly and comfortably, and avoiding the ergonomic hell for many that is the touchscreen keyboard. I’ve used the earlier model Logitech K750 for over a year now, and I like the low profile of the keyboard, and the easy action of the keys. The Logitech K760 weighs 500 grams, with dimensions of 293 x 164 x 8 mm (L x W x H), rising to a height of 16.2 mm when the keyboard ‘legs’ are used. 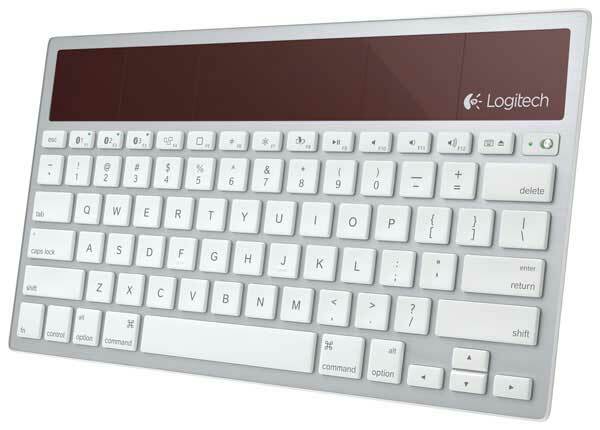 The Australian RRP of the Logitech K760 Wireless Solar Keyboard is $99.95. Or buy the Logitech K760 online, with a price at the time of writing of just over US$77.00. For a look at the complete Logitech range, visit the Logitech online store at Amazon.